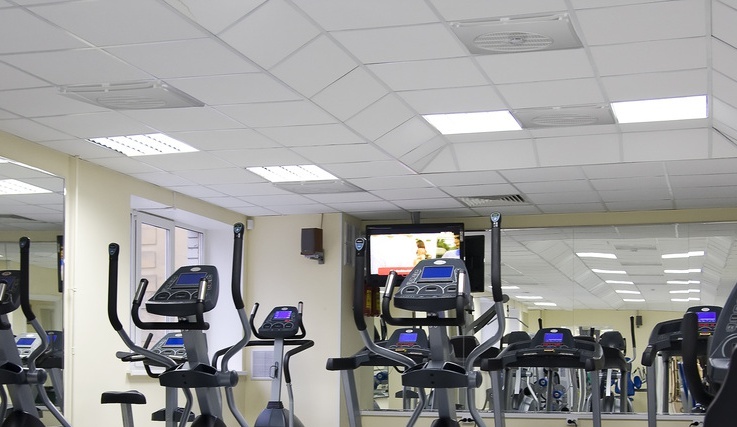 Each fan distributes air over 144 sqft. Low Energy Consumption and very quiet. 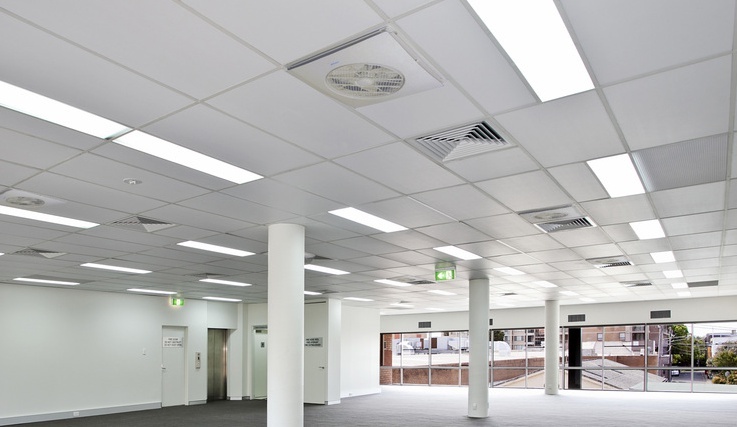 Designed to fit into a standard suspended ceiling and fills a complete 2x2 space. Convert a 2x4 space with a cross tee just as you would for any other 2x2 fixture. No support brackets needed; Sits directly on the grid. Low profile design; Sits only 4 & 3/4" above the grid and a super slim 2 & 1/8" below the grid. 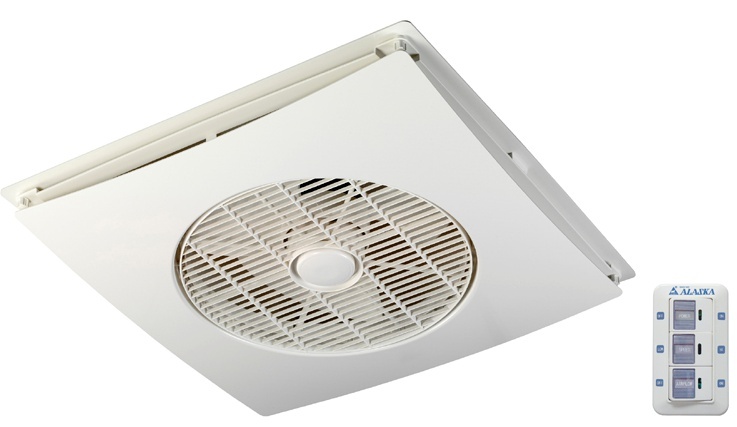 2 speed fans with wall control for multiple units - up to 20! Sign up for our Mailing List to get the latest Announcements, Sales and Discounts, Industry News, and other information. Copyright New Ceiling Tiles, LLC. All Rights Reserved. eCommerce Software by 3dcart.